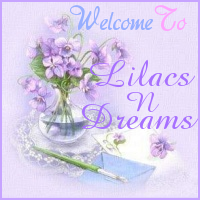 Welcome back to LilacsNDreams, and hope ya'll had a wonderful fun filled weekend. Now that Thanksgiving is past us things are going to start moving much faster, so many things to do, and time is going to get shorter and shorter to do it all too. Black Friday is done, Small Business Saturday is past us, and today is Cyber Monday. Everything has kind of carried during the weekend, or since Thursday night for many places too. How many are ready for Christmas? LOL:) Lights, trees, decorations, hanging, nails, pinning, knick knacks, and so on. I usually have a start to things, or have been working on them. Not this year. Tonight I finally got a few things out to get started with Christmas decorations at home. Over the summer I was down sizing things, and I did get rid of a lot of bigger things too. So, here I am starting over with some things, and not having the full amount of supplies I generally had. Then, I got to thinking I shouldn't have to buy everything to decorate with. 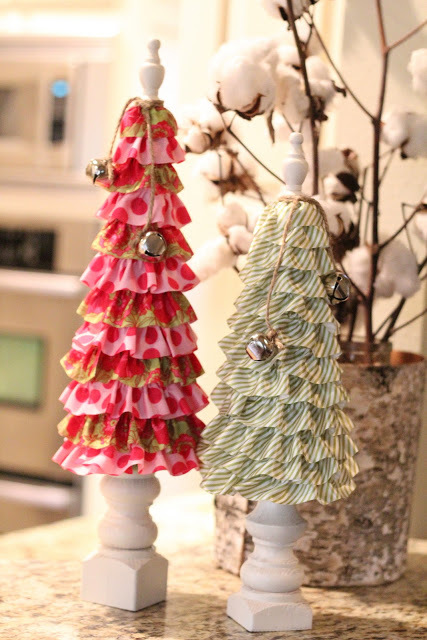 This year let's do a little more with some crafts for Christmas decorating. Some things will not take too terribly long, use some scraps of things around here, or when out shopping I can pick up some small things to help with too. And....it will be fun too! Above you will see just a few pictures I am sharing from things found when in roam on the internet. There is so much out there to see, get ideas from, some people are really crafty and good at what they do. They make it all look so easy too! At the top is the Ruffles Trees. 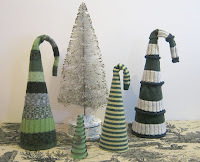 You can roll some poster board to make a tree, or use some styrofoam cones for this too. The base is what you want it to be. You can use some wooden spools, some wood pieces you might have around, and etc. On these particular trees the little finials were put at the top to add to it's look. How cute, right? Then, there are the Ribbon Trees. Same thing you can use some poster board rolled, styrofoam cones, your empty rolls from paper towels, and there is bound to be something at home to use. Then, just use some ribbon, loop as you go, and go around, and make your tree. This next one is really cute too. The Button Tree. This is a great time to use some of them buttons you have been collecting, or maybe you want certain buttons from the store for this project too. 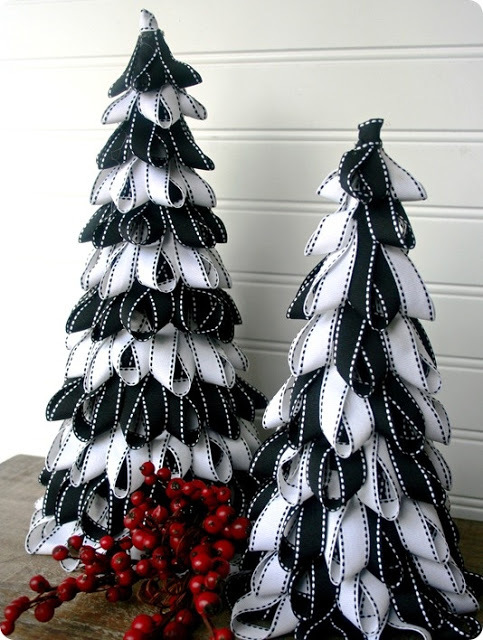 You can either glue your buttons on, or use a pin for each of them to stick onto the tree. That is the white centers you see. Lastly is the Sweater Trees. How neat is that idea! Got some old sweaters around that you use for scrapping with, or whatever reasons. They can be used to just slide over your trees, and then don't forget to leave them little droopy curls at the top too. You should be able to click on all the titles, or names next to each picture to visit the sites, and to get some more detailed instructions. 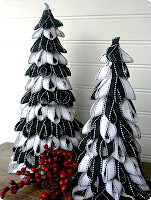 I like the idea of crafting some things for Christmas. Fun, more personal, have your own decorations, and you get more of what you want to. Thanks for sharing your time with LilacsNDreams, and hope you enjoyed this tree crafting visit today. 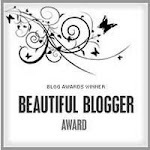 Hey, if you have anything you would like to share please do. The more ideas, the better for all of us. 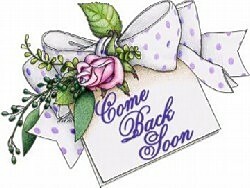 Take care, and see you all again soon.